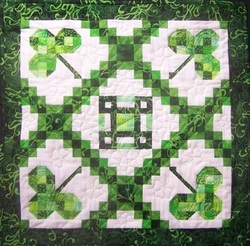 Smiling Irish Eyes 21" x 21"
Smiling Irish Eyes 8" x 20"
Pattern only $8. Purchase here. Join the list to receive Electric Quilt awesomeness!